We are an Italian company that is dedicated exclusively to the study of tools and methods for making pharmacists stronger and more recognized since 1965, all around the world. 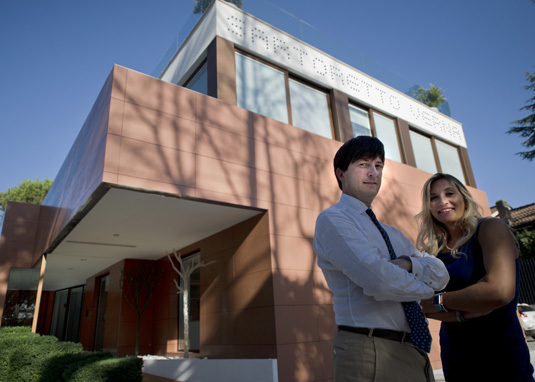 Sartoretto Verna is the name of the family that for three generations has been running the company with over 100 employees. Today we are the only company in the industry with pharmacies in 30 countries spanning 4 continents. Our forward thinking has often created trends in the pharmacy design field. We boast concrete and reliable experience, certified over the years by substantial increases in sales, in parallel with our customers’. 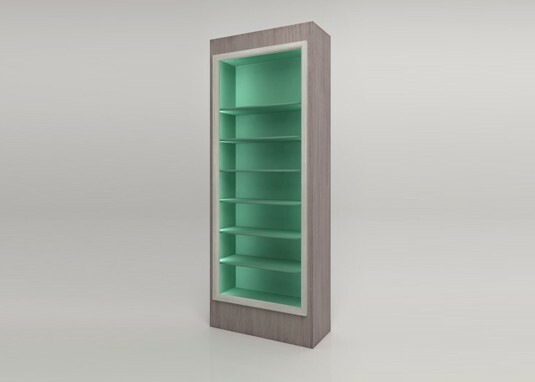 We were the first company in Italy to introduce pharmacy furniture that permitted the storage of a large volume of products per square meter and the first to introduce Schiller mobile cabinets followed by cabinets with drawers (R+R). 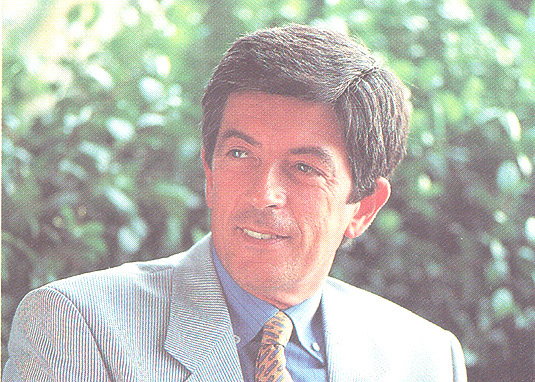 It is with the engineer Dr. Giovanni Sartoretto Verna (photo), that the Sartoretto Verna pharmacy story begins. 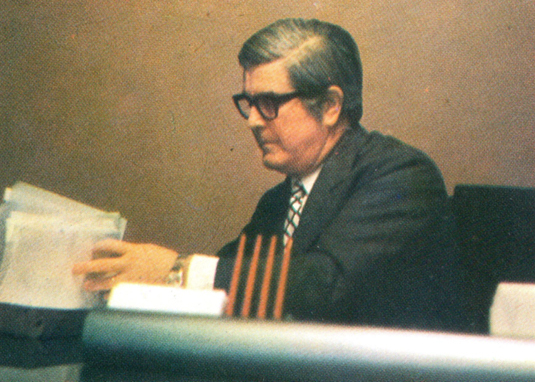 In 1965 Dr. Sartoretto Verna who was General Manager South America of Olivetti at the time, came up with the idea of importing and selling the pharmacy cabinets with drawers that are now commonplace. Escalating to importing a range of pharmacy furniture took no time at all. 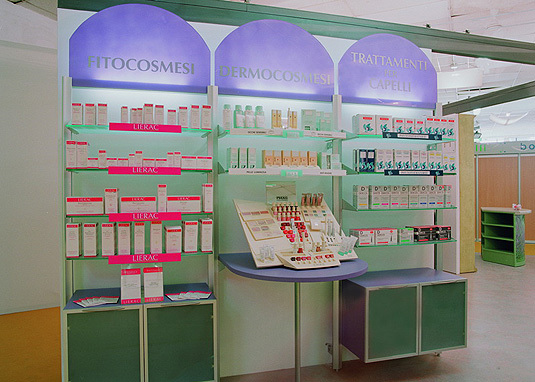 We were the first to introduce the concept of layout in the pharmacy in Italy (Giuliani furniture), through modular metal systems (Itafarma). In 1992 we introduced micro-neon lighting to the inside of our modular furniture (Ral1) (architecture research snc). ®Ral System 1 has proven to be a huge success all over the world, completely renewed with its advanced technology and materials. We were the first company to use aluminum for an entire range of pharmacy furniture (®Ral2) complete with displays, semicircular glass tympana, modular mono and double benches, and swiveling joints (architecture research snc). 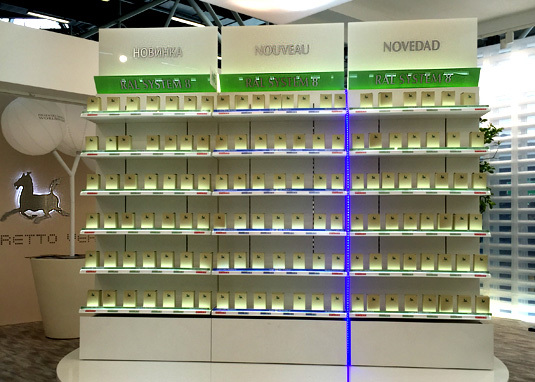 We were the first to introduce cosmetics displays with curved lit plexiglass back panels (®Ral4) (architecture research snc). We were the first to introduce strategy to the international pharmacy. 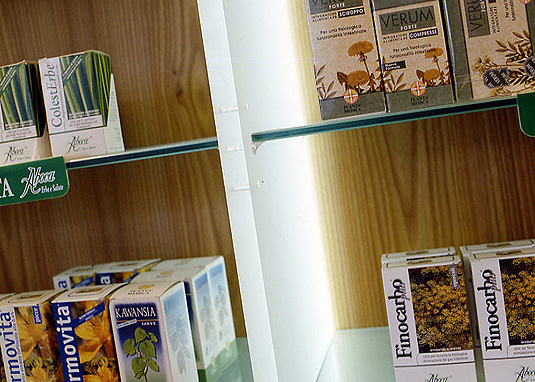 Our experience with pharmacies all over the world and our decision to maintain in-house experts in our Italian offices allows our clients to keep up to date with new international trends. 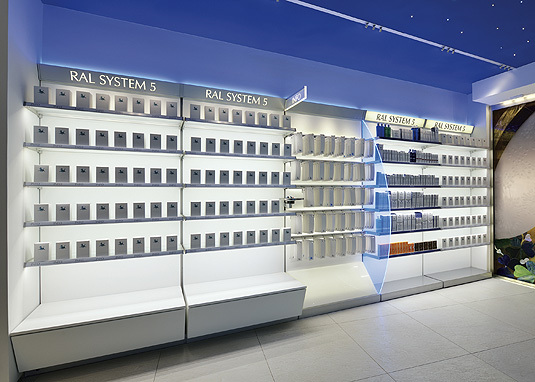 We were the first to introduce a modular ABS system into the pharmacy. ®Easy chain has been designed with the aim to simplify the building and installation process. ®Easy chain is an Italian product, relatively new yet known world-wide, winner of the Cosmofarma 2015 prize for innovation and research and entirely recyclable. 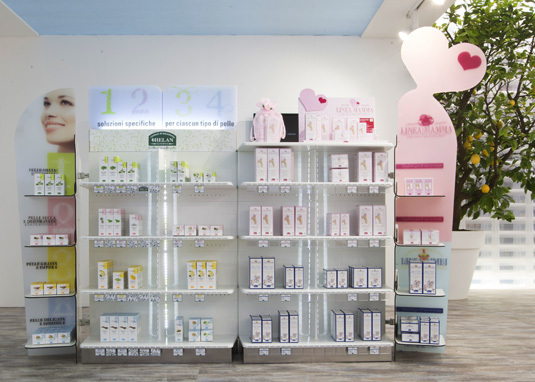 We were the first to integrate a molded shelf with LED lighting for the best display of the products featuring a double-sided display for communicating category and price. ®Ral 8 is the latest product in the Sartoretto Verna range. 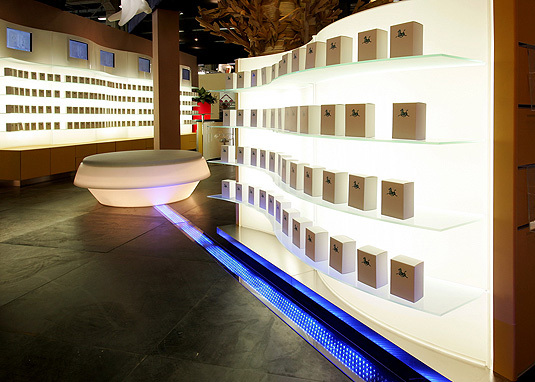 The designers wanted to combine extreme versatility with the best way to expose the products to the customer. We were the first to build an in-house multilingual team of architects and engineers. Sartoretto Verna is one of a kind, composed of a group of specialists who can confront global challenges in the pharmacy market. We work side by side with all of our clients throughout the entire process, offering expert consultancy with knowledge of the latest trends in pharmacy design, continuously working together with each individual’s business strategy. 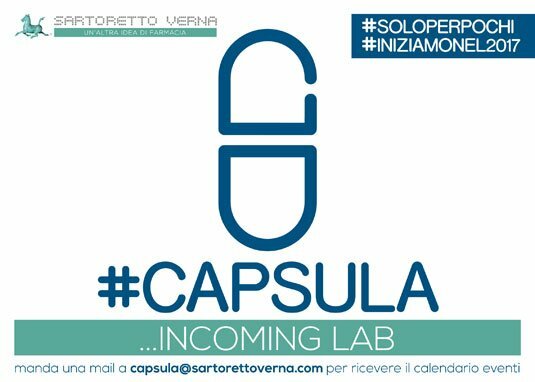 During 2017 we talked about “Another Idea of The Pharmacy” at various events, and throughout an innovative project called “#Capsula the pharmacist’s creative lab”. Meet-ups, open days, presentations of new “phygital” products, forums and masterminds have accompanied us throughout this fantastic 2017 selling out every time! 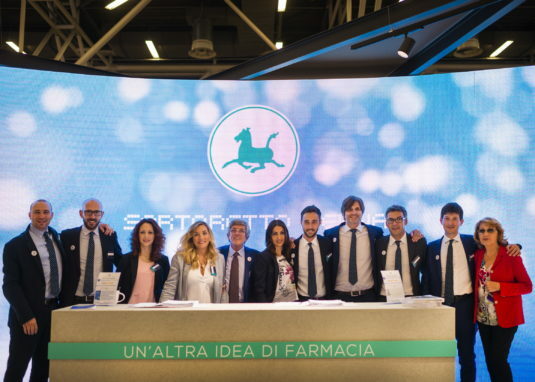 This extraordinary adventure involved all the Sartoretto Verna staff, brilliant consultants and entrepreneurs, and hundreds of pharmacists from all over Italy.